KANSAS CITY, MO. – Kansas City artist and videographer Barry Anderson will have featured his video for the Monta at Odds song “Android Dreams” at the European Media Art Festival in Osnabrück, Germany on April 25, 2015. 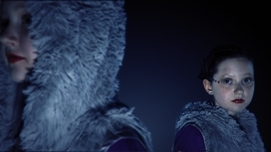 The video will premier as part of the film program Tick Tack Ton. An institution since 1987, the European Media Art Festival is one of the most influential forums of international Media Art. As a meeting point for artists, curators, distributors, galleries and an audience of experts the festival has a great impact on the topics and aesthetics of Media Art. Synthesizer-based psychedelic rock band Monta at Odds released the album Robots of Munich on Kansas City independent record label Haymaker Records in November 2014. The storyline questions human and robot empathy, following a group of androids who survived the slaughter at the uprising in Munich. As they escape to South America, the small group delves into the crumbling culture in an attempt to grasp humanity and make the most of a limited lifespan spent evading the pursuit of the android hunter. Anderson’s video reflects these aesthetics throughout the presention. 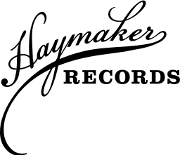 Discover the band, the label, and the album online at www.haymakerrecords.net. More Monta at Odds information is also available at www.montamusic.com. Information on the artistic works of Barry Anderson can be found at www.barryanderson.com.